What have the Pickins be like for you? I have seen a couple of posts from some of you, saying that the pickings have been mixed. Some have had success and brought home pounds of Chanterelles, while others have said just the opposite. I was visiting in the the Vernon-Enderby area last week and found it still is very dry in that area. 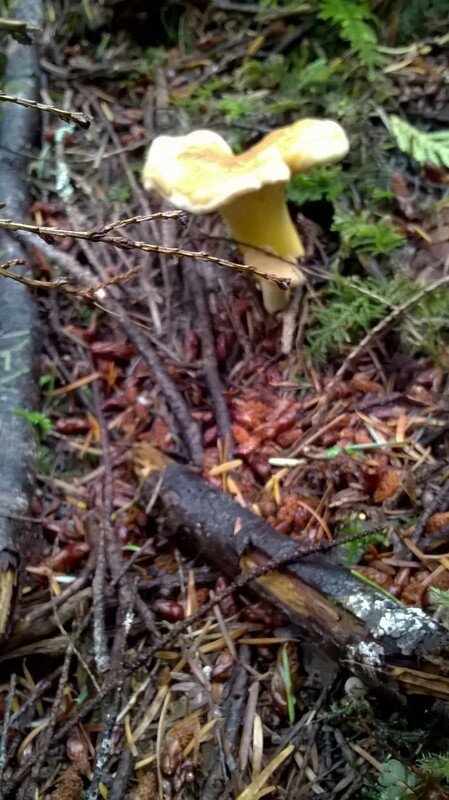 I was out hiking east of Enderby, and found the fungi sightings to be pretty scarce. There was a lot of Paper Birch along the creek bed we were hiking up so I was hopeful we might stumble on some Chaga….no luck finding any of that. What we did find was lots of the Birch Polypore…Piptoporus bitulinus – also know as the razor strop fungus. Here is a link to more information on this interesting fungi… http://whisperingearth.co.uk/2015/02/15/birch-polypore-medicine-ancient-and-modern/.Paper Birch is not very common out here on the coast. so you don’t find this species of fungi out here very often. Now back on the coast and getting itchy to check out some of my regular spots, I decided to do a solo foray yesterday. Even though we have had enough rain to move us back from a level 4 to a level 2 water restriction, I was surprised at how dry it still is in the deep forest. Some areas seem to have gotten little moisture, which I can tell just by feeling the moss and seeing very dry areas under fallen logs. Where the canopy is a bit more open, the forest floor is damper, but not as wet as it should be. Even the creek and stream beds are dry in many areas. 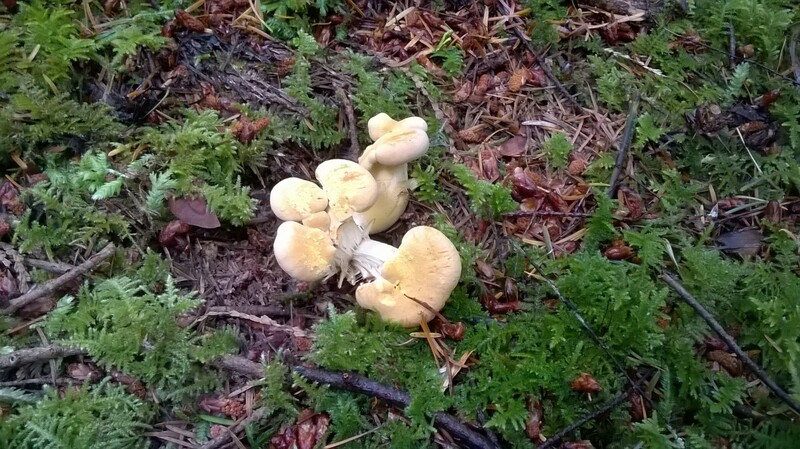 Consequently, I am not yet seeing the abundance of fruiting bodies, just a few here and there. 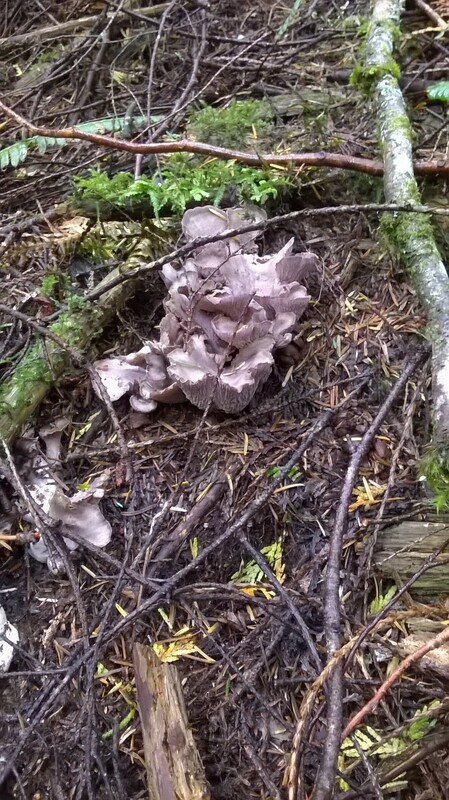 I went to my “spot” where for the last few years I have always found Gomphus clavatus or Pig’s ear clavatus….and yes there they were, just starting to poke through the duff.. I find these very meaty and quite taste, pairing very well with rich meat dishes. The problem is that they very quickly get infested with fly larva, so you are doing a lot of paring away. There are some who are not bothered by the “extra protein”….me, I like my mushrooms worm free, so I take just the youngest ones. 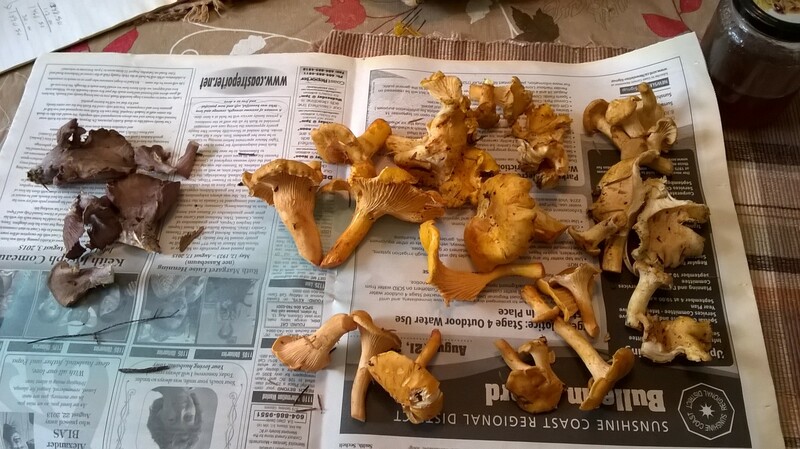 When I got to my “patch” where I can usually find enough Chanterelles for a meal, the picking was slim. It looked like someone else had beat me to the patch. There were lots of stumps, but not many Chantees. I did find some, hidden under fallen branches and just showing a hint of gold through the moss, but not a lot. Some were still very dry and dense, but a few were nice a moist. 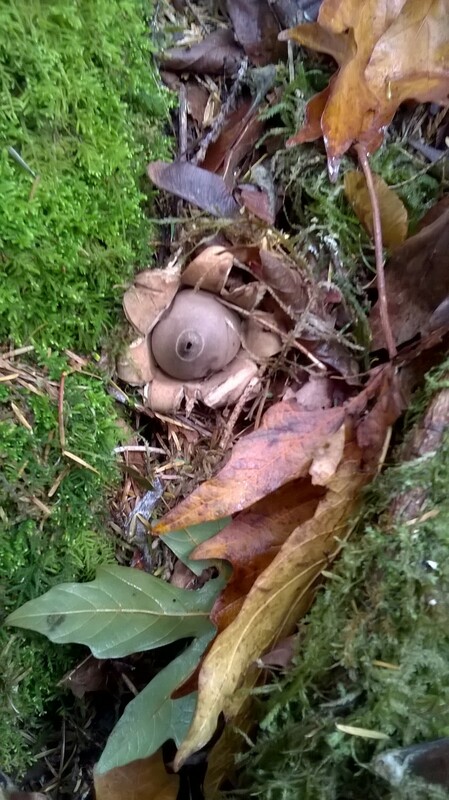 Those that looked the best I found in little hollows where the rain had maybe pooled and saturated the soil and moss. This is a nice example. 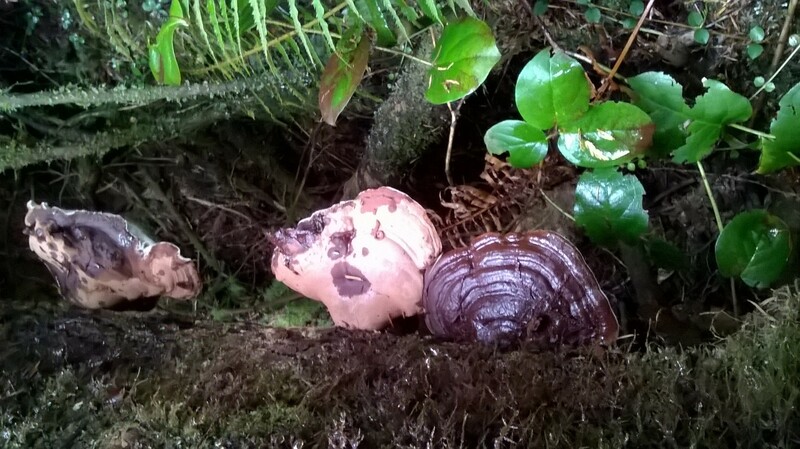 While seeking Chantees I found several very large and fresh Ganoderma Tsugae – our local version of the Reishi. If any of you would like them for making tinctures or medicinal teas, drop me a line and the next time I head to my patch, I will harvest them for you. I found quite a number last year, which I dried and have in stock so I am not in need of more just now. 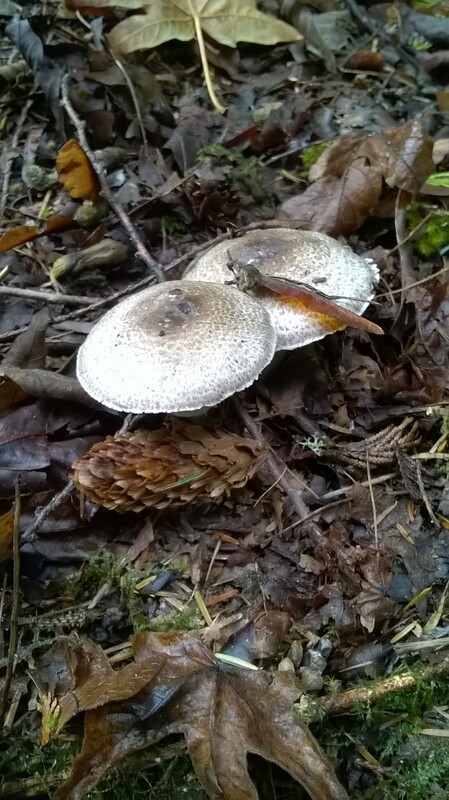 They are very likely Western Flat Top Agarius or Agaricus praeclaresquamous. What told me that these were not the Prince was the aroma of the flesh…phenolic, chemical or as one expert described the odour as “farinaceous” . I don’t know why he used that term, but he described it as having the smell of rancid grain….maybe. The aroma of a prince however is very different…having the sweet smell of almonds or of anise…very distinctive and pleasant. They went very well in a sauce I made to go over my meatloaf and mashed potatoes….comfort food from my childhood paired beautifully with a new favorite…wild mushroom gravy. 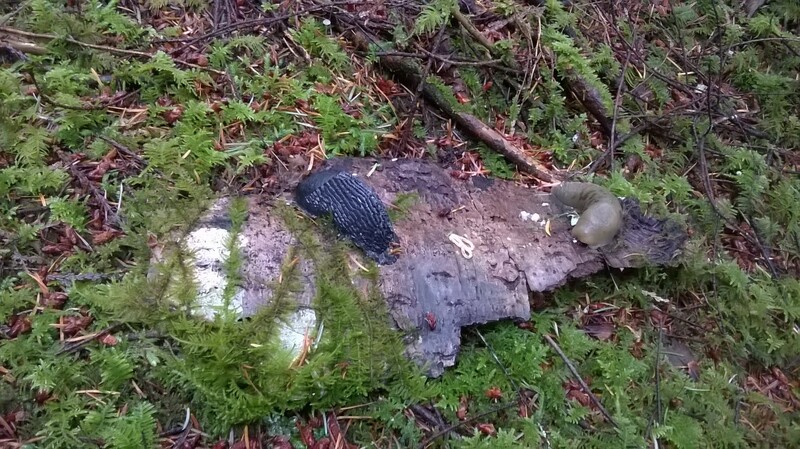 The season is just beginning, so I am ever hopeful more rain will come, bringing once again bounty to the forest floor. 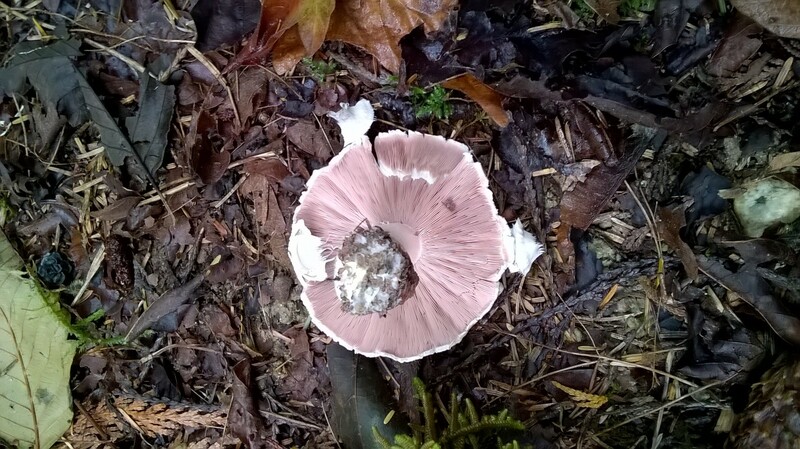 Hope to see you on the trails sometimes soon….Coastalshroomer. There was a price that was paid for the coming of the rain….. Trees, weakened by the heat and the lack of rain, face the wind…. Many more I found and many more just beginning….